EverWest Real Estate Partners has landed $19.5 mil in financing for Del Mar Corporate Plaza, two newly renovated office buildings totaling 73.6k sf in San Diego. Chris Collins of HFF arranged the 10-year, 4.54% fixed-rate acquisition loan through a correspondent life insurance company. 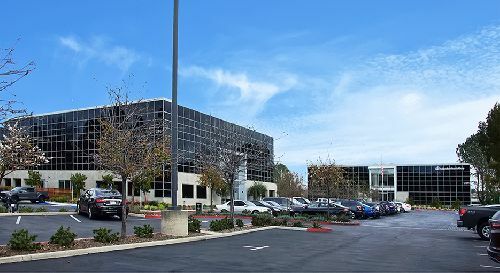 Del Mar Corporate Plaza is located at 12651 and 12671 High Bluff Drive in San Diego’s desirable Del Mar Heights area. The property is within walking distance of the retail and dining amenities at the new One Paseo mixed-use development and is close to Carmel Country Plaza and Del Mar Highlands Town Center. Additionally, the asset is within close proximity to local freeways, including Interstates 5 and 805 as well as the Solana Beach and Sorrento Valley Coaster Stations, providing connectivity to the surrounding area. Renovated in 2017, the Class A creative office buildings feature small floorplates, a newly renovated fitness center with showers and locker rooms, outdoor patios, a two-story atrium lobby and updated common areas. Del Mar Corporate Plaza is 79% leased to tenants, including HomeStreet Bank and Cirius Therapeutics.